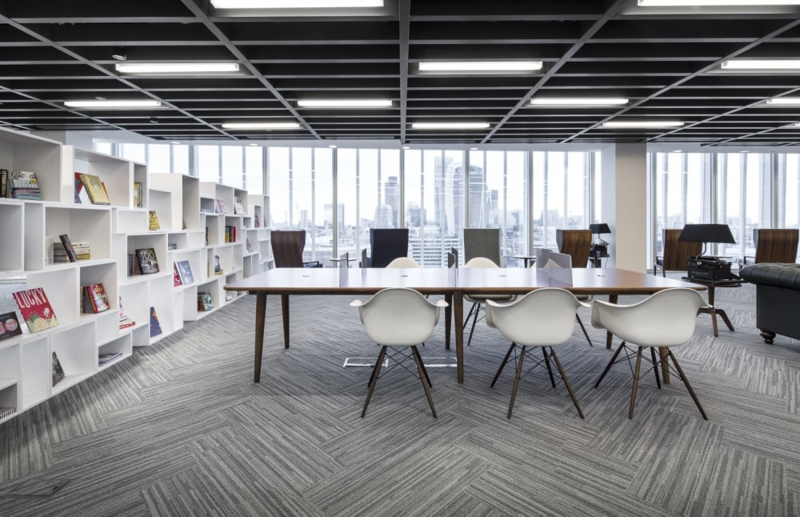 Start-up businesses, companies that are rapidly growing, or those looking to update their old offices on a budget, will know that furnishing office space can be expensive. As a main objective you are trying to get sales up and not spend too much on equipment. But workers need furniture in order to go out getting these important sales. So what is the compromise? Luckily, these days there are ways in which you can do away with certain items of office furniture that, years ago, just would not have been possible. For instance, businesses no longer need those hefty metal filing cabinets as most of today’s companies files are kept cloud-based or electronically. You’ll also find that some companies are embracing a new way of working which means that employees do not get to have a designated desk. They simply take the one that is available at the start of a new shift. Before you go hunting around expensive furniture stores it’s always a good idea to take a look around your home first. That two-seater leather sofa that looks outdated in your newly decorated living room may be ideal in a reception area. Your teenager’s old desk and chair could be used for an office work station. Old kitchen utensils are perfectly acceptable for your office kitchen. Get your other colleagues to hunt around their homes and see how much you can save. It’s amazing the amount of good, quality furniture that is lying around, getting dusty in charity shops and second hand stores. For office equipment and work stations, you are better off going to the larger warehouses and going right to the back of these stores for hidden gems. Often you’ll find sets of chairs that work well for a conference room, and office chairs that are adjustable. Some office workers suffer from a condition known as sick building syndrome, in which elements in the structure, such as poor ventilation, contribute to a series of health problems. Tall, green plants are a great way of not only increasing the oxygen output in your office, but adding a natural feel to the space. And they do not have to be expensive. Go to supermarkets such as Aldi and Lidl, who often sell larger plants for a fraction that the other main supermarkets sell them for. Or see if your local nursery has any that are ailing and are selling them off cheaply. Walls are a space that is often forgotten in offices but imagine how boring your home would be without any pictures or art to decorate it? Adding art to your office need not involve the petty cash box. Ask your employees to find their favourite quote, poem, inspirational saying, or picture, and print it off, then frame it and put it above their desk. Finally, if none of the above suggestions work for you, remember that hiring furniture makes far more economic sense than buying it. You are not committed when you hire, you can send it back, you only hire for as long as you need it and you can constantly change what you order.